The fight against tax evasion is causing a proliferation of anti-abuse clauses in international regulations, in the context of the Action Plan on Base Erosion and Profit Shifting (BEPS), led by the OECD, and the measures proposed by the European Commission, the prime objective being to ensure that tax is paid where economic capacity is generated and to avoid cases in which undesired tax advantages are obtained without directly infringing the law. However, if the new measures are not defined clearly and transparently, this could result in an increase in litigation between Public Administrations and taxpayers, where the trend should be to enhance cooperation. This is the main conclusion of the study promoted by the foundation Fundación Impuestos y Competitividad and coordinated by Maximino Linares, partner in charge of Tax Proceedings at EY Abogados. 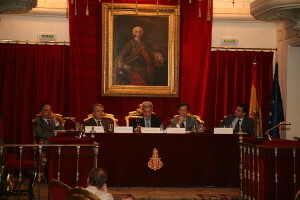 Their work was presented on June during a conference held at the headquarters of the Jurisprudence and Legislation Academy (Academia de Jurisprudencia y Legislación). 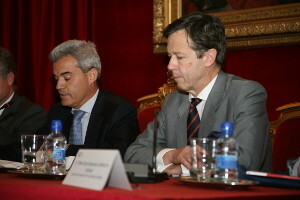 Luis María Cazorla Prieto, co-chair of the Academy’s Financial and Tax Law unit, and Ricardo Gómez Acebo, the Foundation’s chairman, opened the conference, which was also attended by Maximino Linares, a partner from EY Abogados; Abelardo Delgado, a partner from Garrigues; Joaquín Huelin, a judge from the Supreme Court’s Judicial Review Division; Juan Manuel Herrero, from the Tax Administration State Agency; and Pablo García-Manzano, a solicitor from the Council of State, section 5. 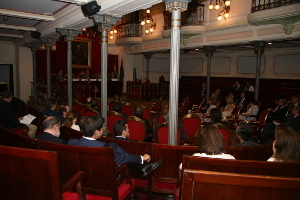 The study addresses the impact on regulations of the general anti-evasion clause contained in the Bill that will partially amend the General Tax Act, currently passing through Parliament, which provides for the possibility of penalising certain cases of “conflict in the application of tax legislation”- the denomination given by the Spanish tax law to the anti-abuse rule-, amending the current regime which excludes penalties. Constitutional principles and rights must be fully guaranteed, particularly the principle of legality for the imposition of penalties, from both a formal and material perspective. The mere fact that the approach adopted in the reports issued by the Tax Administration’s own Consultative Committee is not followed cannot entail the automatic imposition of a penalty and cannot exclude a possibly reasonable interpretation of tax regulations. It must be possible to reduce or mitigate penalties both in the case of the non-payment of taxes or undue obtainment of refunds and in the other scenarios envisaged in the new clause (undue request for refunds and evidencing of tax credits). The analysis raises the issue that anti-abuse clauses complicate management of tax risks by companies, particularly following the recent imposition of tax liability on Boards of Directors of listed companies with respect to the design of the policy for controlling and managing tax risks. The intensive use of undetermined legal concepts, leaving excessive room for interpretation both to determine the factual presuppositions and to define the legal consequences, is another core issue for taxpayers. In this regard, the study recommends harmonisation and coordination of general anti-evasion clauses, avoiding excessive fragmentation of what is understood by an abusive transaction or a tax advantage, as well as of the rules and requirements for procedures that are applicable, or the relevance of clarifying the imposition of tax penalties. According to the analysis, increased certainty would facilitate tax risk management by taxpayers, particularly companies with transnational activities. In order to achieve this, the analysis points to a favourable trend to improve tax quality by combining improvements in regulatory techniques and applications, together with increased transparency in the Tax Administration and taxpayers. The report also points out that there is an international trend to establish the prior declaration of transactions that could possibly constitute tax evasion, as a measure to enhance legal certainty in a cooperative compliance context. Rethink the factual presupposition of the“conflict in the application of tax legislation”, taking into account current trends, such as the convergence taking place in administrative and judicial practices with respect to valid economic reasons, rejecting the advantages of legal business effected basically to achieve tax savings. Include specific measures to enhance tax quality through the consistent and transparent application of interpretative criteria by the Tax Administration. Include measures to develop a cooperative relationship between the Tax Administration and taxpayers, exceeding the mere imposition of formal obligations. The foundation Fundación Impuestos y Compeitividad was created on 22 September 2011 as a non-profit organisation; its objects encompass research, knowledge, dissemination and independent opinion on international regulatory developments in taxation and tax systems, as well as experiences in the application of such developments, paying particular attention to research into processes through which the developments and experiences (where there are no examples in Spain or in the European Union) are brought into the Spanish and EU legal systems and practices to benefit the competitiveness of the domestic and European Union economies. The Foundation’s Board of Trustees is currently formed by eight entities: Baker & McKenzie; Cuatrecasas, Conçalves Pereira; Deloitte Abogados, EY Abogados, Garrigues, KPMG Abogados, PwC Tax & Legal Services and Uría Menéndez.